Ukrainian League 2017/18. 1st round. July 18, 2017. Poltava. A. Butovskyi Vorskla Stadium. Att: 10,500. 26 oC. Following a confident victory over Dynamo in the clash for the Ukrainian Super Cup (2-0), the Miners kicked off their Premier League campaign in Poltava. Compared to the season’s opening game, the Donetsk team’s starting line-up saw minor changes: Taras Stepanenko missed out due to disqualification, while Taison and Maksym Malyshev stayed home because of injuries. As a result, Alan Patrick, Viktor Kovalenko and Dentinho formed a midfield three. Sergii Kryvtsov and Ivan Ordets played a pair of the central defenders. The teams made an active start and tried to respond to an attack with an attack. Only over time, Shakhtar regained the territorial initiative and began to muster attacking threats near Bohdan Shust’s goal. Paulo Fonseca’s men unhinge the counterparts’ defence, with Facundo Ferreyra emerging on the offensive end more often. Oleksandr Chyzhov registered a nice header for the hosts, but Andriy Pyatov made a save by picking the ball out of the corner. The score was opened in the 27th minute, when Ferreyra appeared in the heart of action again. Following a pass from Dentinho Facundo got away from the defender and blazed a powerful shot into the corner. The goal did not change the nature of the game: the Donetsk side continued to keep the under situation control and enjoy longer spells of possession. Nevertheless, the numbers on the scoreboard did not change in the first half. After the break, the game pattern remained the same, as the ball practically did not stay in the midfield. Despite a nice pace, really threatening chances came neither of the teams’ way. In the 66th minute thanks to the personal skills from Marlos, the Miners extended the lead. The Brazilian ventured upon a curler from a long distance to see it inside the net. 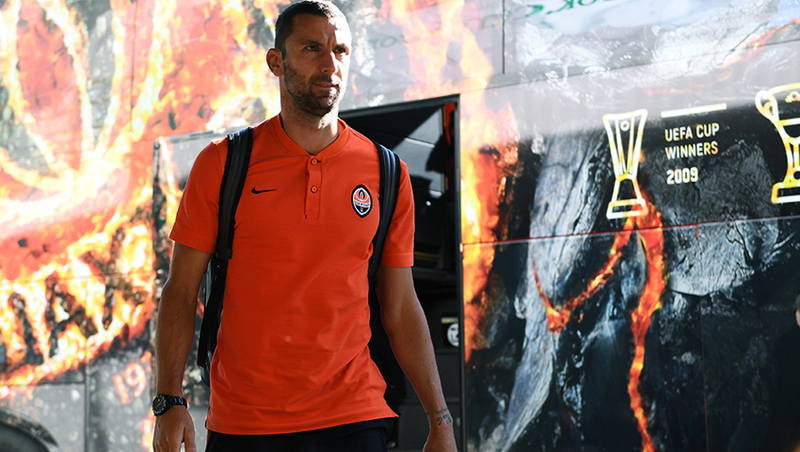 Soon, Paulo Fonseca made the first substitution, fielding Viacheslav Tankovskyi instead of Bernard. On 72 minutes, Facundo Ferreyra won an aerial challenge before sending the ball home, but the referee whistled a foul in the attack. The hosts pushed forward in numbers to save the situation. The Donetsk players employed free spaces for counter-attacks and had a number of clear-cut opportunities to do the needful. In the 82nd minute, Ivan Petriak registered his competitive start for Shakhtar, replacing Dentinho. In the dying minutes, Gustavo Blanco Leschuk came on for Facundo Ferreyra to take his the position. Already in the injury time, Petriak could notch a goal only to see, but the Poltava keeper making a save for his side. However, the goalie did not manage to mop up the danger after a kick from Alan Patrick: the Brazilian sent the ball exactly into the corner to complete the scoring. The Orange-and-Blacks claim a confident 3-0 win at the start of the season. The Miners will hold their next match on July 22. 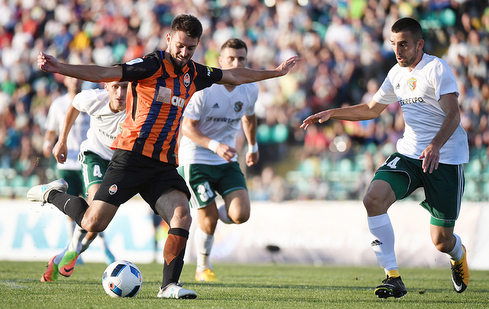 In the second round’s central match, Shakhtar will host Dynamo in Kharkiv. It kicks off at 19:30.